The Animal Reception Centre Team’s work at Bransby Horses has been formally recognised at the BBC Radio Lincolnshire ‘Make a Difference Awards’. The team were nominated and shortlisted as finalists for the ‘Fur ‘ever Friend’ category, which is a prestigious recognition of an individual or group that go out their way to care for animals. 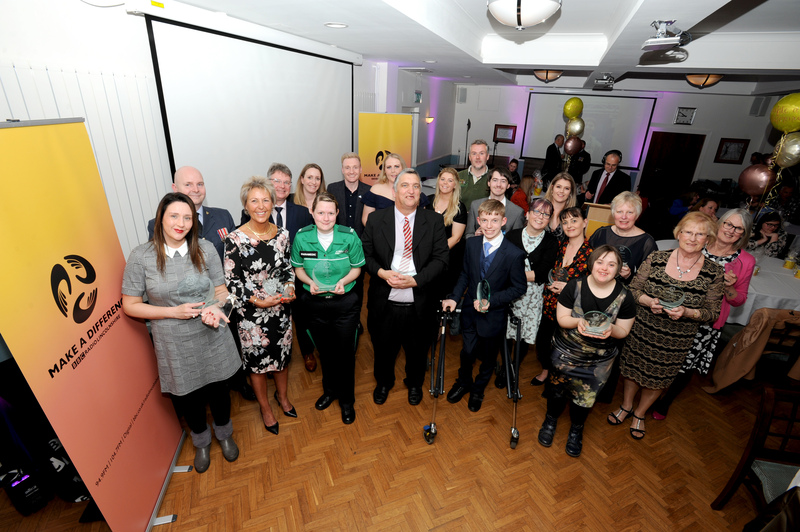 Representatives from Bransby Horses attended the award evening at Bishop Grosseteste University on Wednesday 27th March along with the other finalists, BBC broadcasters and presenters. It was strong competition with such inspiring stories being shared but unfortunately, Bransby Horses narrowly missed out on the top prize of the evening. Winning the category was The Lincolnshire Greyhound Trust, another local charity performing amazing work in the Lincolnshire area. The work the team undertake at the Animal Reception Centre on a day to day basis is demanding, everyday there is a new challenge for them to face whether it is the high number of equines needing care, a collapsed horse needing round the clock attention, or an ill equine that has never been handled before. Often every one of these scenarios can be happening at once but each task is still undertaken with compassion and understanding of every equine. Sadly, not every horse has a happy ending despite the hard work and love from the team, making their job even more challenging. Bransby Horses are delighted that the work of the Animal Reception Centre Team has been recognised and would like to take this opportunity to thank the team for their continued hard work, dedication, and commitment to the rescuing and caring for equines when they are most in need. Photo courtesy of Stuart Wilde Photography Ltd.